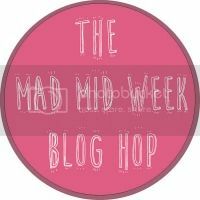 Mum of Five Staying Sane: A foodie round up of new products that have hit the supermarket shelves or caught my eye whilst shopping recently. 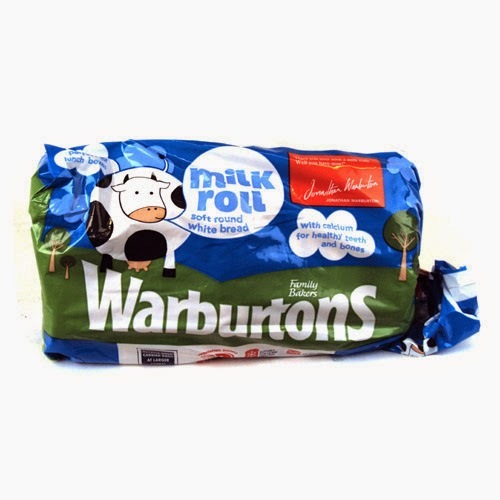 Including peach & mango Fruit Shoots, Cadburys Dairy Milk Puddles, salt n vinegar Skips, Warburtons milk roll, Heck chicken Italia sausages, Haribo and more!! A foodie round up of new products that have hit the supermarket shelves or caught my eye whilst shopping recently. 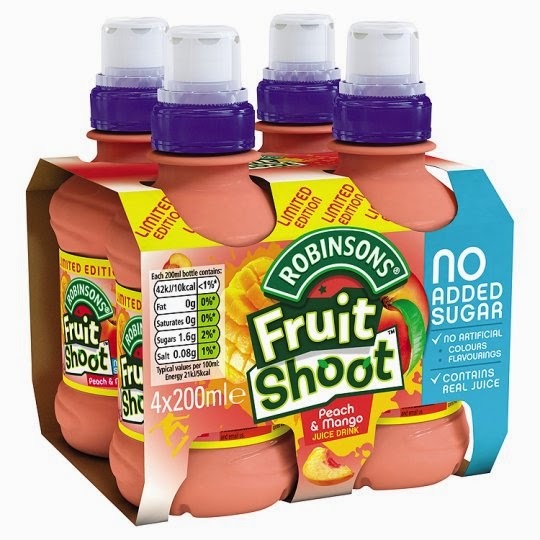 Including peach & mango Fruit Shoots, Cadburys Dairy Milk Puddles, salt n vinegar Skips, Warburtons milk roll, Heck chicken Italia sausages, Haribo and more!! I thought I would do a quick round up of new products in the supermarkets recently that have caught my eye. Yes I am meant to be following my Slimming World healthy eating plan but that doesn't stop me looking at all of the yummy goodies on offer in the supermarkets. The children always like to try new things too and so I am always on the look out for different things for them too. First up is Peach and Mango Fruit Shoots. I was in the queue at the supermarket last week and the lady behind me put these onto the conveyor belt. They caught my eye, I love peach and mango flavour squashes so this combo could be rather scrummy. I have yet to try them though. Next up is the ever popular Burtons Fish 'n' Chips which made a comeback recently, I remember scoffing a packet or 100 back in the '80s/'90s. 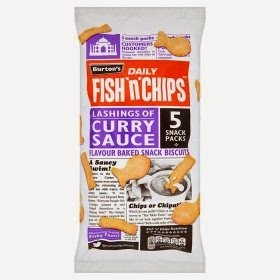 However, the curry sauce flavour caught my eye the other day. If anyone has tried them let me know what they are like! One for the Slimming World people. Muller Lights are our best friends. 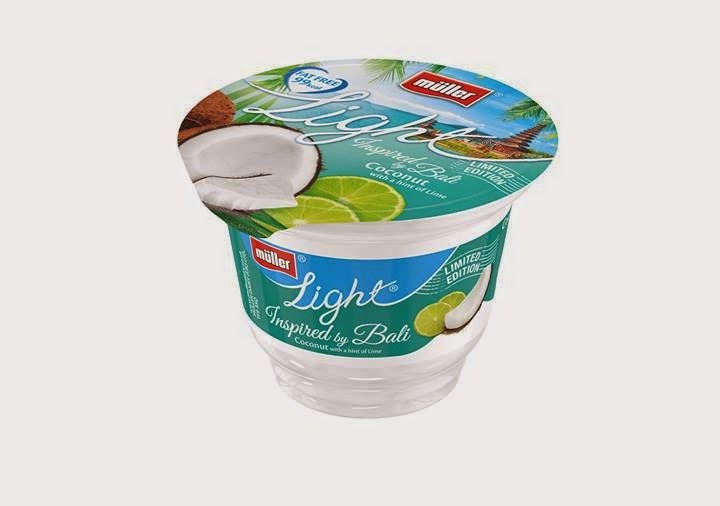 This is a coconut flavour Muller Light with a hint of lime. A lovely tropical taste to satisfy the taste buds. 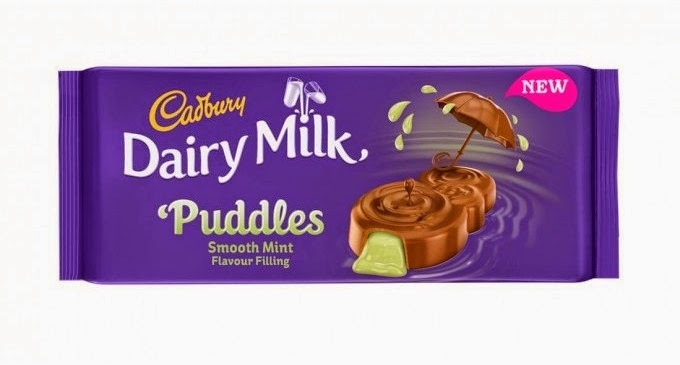 Purely for research purposes a bar of Cadbury's Puddles may have fallen into my mouth last week. OMG, it was lovely. I am a sucker for some mint chocolate anyway and this is the runny mint fondant centre I love. It's a must try for any Cadbury's lover, just try and restrain yourself, unlike myself who scoffed the lot in one sitting. If I'm moaning this week that I have a gain at Slimming World please give me no sympathy!! Ok, I know these have appeared in the shops before but I swear they haven't been around for a while. If I am wrong then I am sorry but I got rather excited when I saw them in my local supermarket the other day. They also didn't hang around for long at home as all of the children loved them. 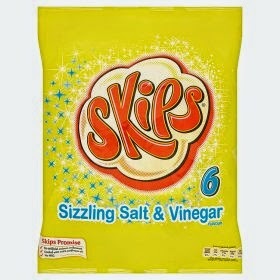 Salt and Vinegar Skips, grab them now! 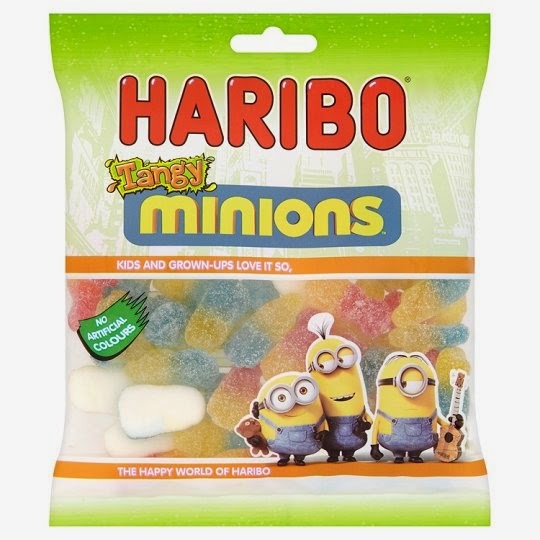 Haribo TANGY minions, I repeat Haribo Tangy Minions. Enough said really, BUY THEM! 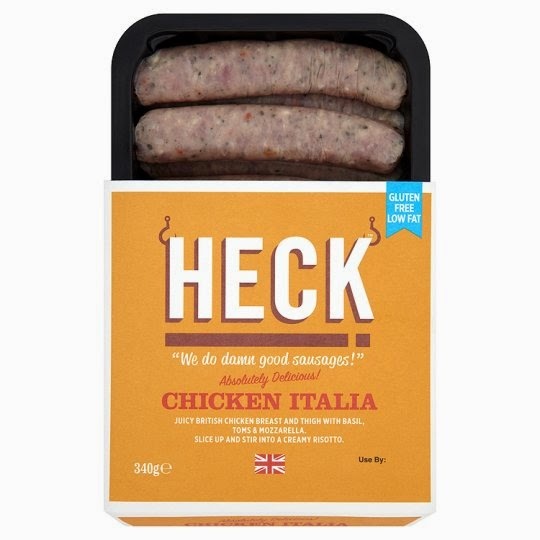 Heck Chicken Italia sausages. I've spotted Heck products on the supermarket shelves for a while now but only one or two products here and there. Heck chicken sausages and meatballs are a firm favourite of some Slimming World members as they are low in Syns. I bought these from my local supermarket last week for myself and the OH, however the Things got in on the act and I had to go and buy two more packets! These are delicious, I wasn't sure what the OH would make of them but he commented on how nice they were. These will remain a shopping list staple for all of the family. Please note that most items can be bought in other supermarkets as well as the ones mentioned, prices may vary in different supermarkets. The milk bread is good and always so soft. My eldest didn't know what it was but now he does he seems to have nearly finished off the loaf before anyone else has had a chance to get any! How have I not seen salt and vinegar skips before!! I need to get out more. these would vanish in our house.